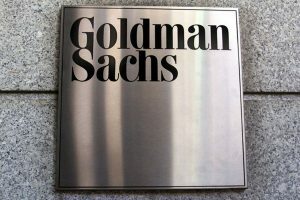 Goldman Sachs Group’s (NYSE:GS) recent purchase of $2.8 billion in Venezuelan bonds has resulted in the company having to defend its actions. The bonds were issued by state oil company Petróleos de Venezuela SA in 2014 and are set to mature in 2022. The bond purchase was first reported by The Wall Street Journal on Sunday. Goldman Sachs’s asset-management division paid about $865 million for the bonds, about 31 cents on the dollar. The price is a 31 percent discount to trading Venezuelan securities that mature the same year. The math would imply an annual yield of more than 40 percent. Two senior Venezuelan government officials confirmed the deal but declined to give more details. The government’s opposition decried the bond purchase as a lifeline to President Nicolás Maduro’s embattled administration. In recent weeks, Maduro’s administration has been accused of numerous human-rights abuses against protesters against the government. The president’s opponents had pleaded with international financial institutions to avoid any transactions that might help the government. The day the bond deal was completed, the Central Bank of Venezuela’s international reserves jumped $442 million to $10.8 billion on Thursday, according to official figures. Goldman has been steadily increasing its Venezuelan holdings in recent months, betting that a change in government and reforms to its economy could more than double the value of the debt. Julio Borges, head of Venezuela’s opposition-controlled congress, said in a public letter, “It is apparent Goldman Sachs decided to make a quick buck off the suffering of the Venezuelan people.” Mr. Maduro’s detractors have threatened that a successor government could forgo paying the debt. The bonds had been in the possession of Venezuela’s central bank since they were issued in a private placement in late 2014. It is unclear whom Venezuela sold the bonds to or how many investors held them before reaching Goldman. Goldman said it bought the securities from a broker and did not interact with the Venezuelan government. Venezuela’s government is short of cash, despite the fact that the country sits atop the world’s largest oil reserves. The country’s current financial situation is due to low oil prices and the effects of years of economic mismanagement. The country has reduced imports by about 70 percent in the past three years, making it difficult for millions of ordinary Venezuelans to find food and medicines. Maduro has committed to paying the country’s financial debts to prevent angry creditors from trying to seize its international oil shipments under a default. Venezuela will spend nearly as much money this year servicing its foreign debt as it will spend on all non-oil imports.